According to Hendon Mob datebase Daniel Negreanu is at the top of most popular poker player in 2015. 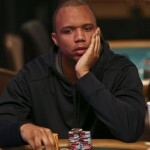 The Kidpoker’s live poker details were searched for 106,378 times whereas Phil Ivey got 79,125 clicks to his name well below Negreanu this year. Daniel Negreanu earned more than $2,840,000 of cash prizes playing at various poker tournaments whereas the total earning for Negreanu till date is $32,315,817. 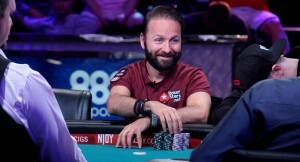 Negreanu maintains the top position to all time money list. Antonio Esfandiari comes second in the list who has a total earning till date as $26,495,567. Daniel Colman was the most popular player last year when he won the title big one for one drop and made a very good cash of $15,306,668. The total earning for Dan was more than $22 Million. Dan is at number 4 in the list this year. This was an update about most popular poker player 2015. we will give you more updates about poker and related here at our site realpokeronline.co.uk.